The Ark Village is located below Tien Shan mountains and it covers an area of almost 6 hectares. This area during the USSR period was a summer camp for young “pioneers” that was closed and abandoned in 1989. Ark Village opened their doors in June of 2000, leaving very little left of the big camp. 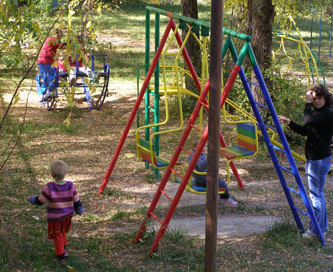 Five 250m2- buildings; the “houses” hosting the children. In each house there are bedrooms, bathrooms and a common room for playing. One building used as the central kitchen/dining room. 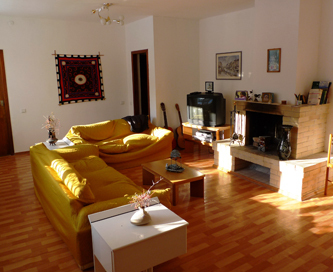 One guesthouse used by the guests, mainly Italian, who comes to volunteer in the Village. 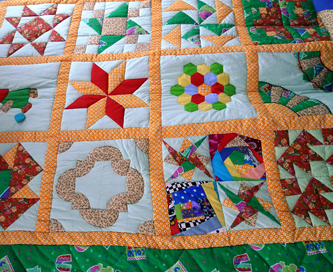 They do activities related with health, social welfare, education and technical works. 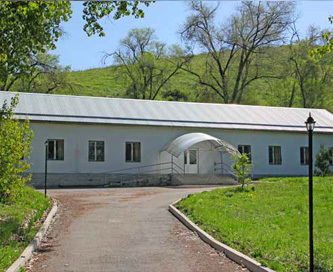 One multi-purpose center comprising one building for school and education activities and one medical unit. In the center, there is one pediatrician, two nurses, one speech therapist and one psychologist. All are local staff. 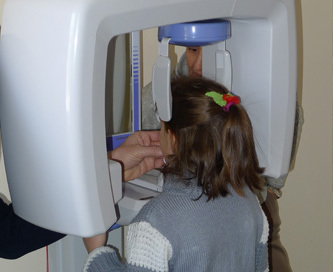 Recently it was possible to build a dental and radiological clinic. Here there is one dentist helped by a nurse. In the physiotherapy center, with a dedicated gym, activities are held mainly for children with infant cerebral paralysis. This activity, up to now, is carried out thanks to the help of Italian volunteers. 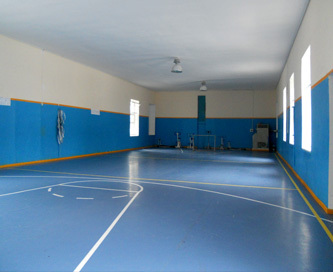 There is also one building with a gym for sports and fitness activities as well as pottery and sewing workshops for vocational training. At the moment the Village hosts about 70 children. They are mainly orphans or coming from families at risk. Out of them, 30 present physical and mental problems. 10 of these children come to the center only for day activities, for therapies or educational activities and also for playing with other children. In the evening they go back home. A small group of little patients come to the center for receiving physiotherapy sessions. This activity is still supported by Italian volunteers. Since 2000, when the Ark Village was inaugurated, many renovation works and improvements have been carried out thanks to funds coming from Italy. Each renovation is a self-standing project, which can be carried out thanks to the intervention of our partners (companies who support the Ark work) or of groups of individuals who give their contribution for a common aim. 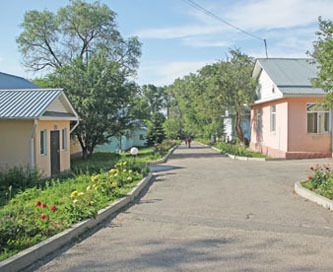 Even now, new works are being planned in order to improve the services of the Ark Village and they will be carried out according to the changing and increasing needs of the Village. 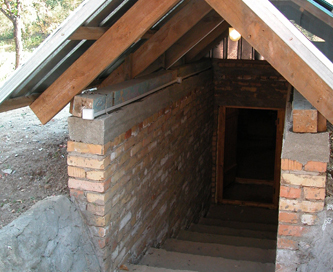 In 2005 we were able to build a “refrigerator room”. It is an underground building used for keeping food stocks. 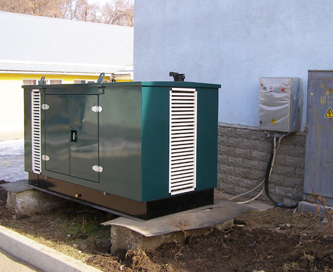 In 2006 an electricity generator was installed. It allows total independence during very frequent winter power-cuts. These power-cuts have been a major problem by causing a block in the heating system leaving the center without any heating (winter temperatures reach 25 below 0!). In 2007 a well was built which allows the Village to get water throughout the year. Water was a major concern especially during summer months, when water shortages were frequent and prolonged. 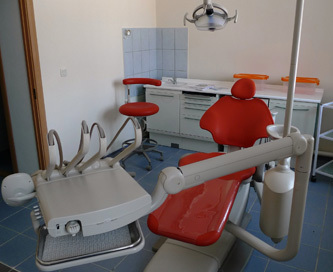 From 2007 till now the renovation of pre-existing areas inside the medical unit, has allowed the completion of the dental office equipped with a radiological room and the physiotherapy center. They are all open to external patients as well.